How the player finds out about what’s going on in the Sector – and specifically, what opportunities there are for them to take advantage of – is really important. Some examples of this kind of information, or “intel”, are a bounty posted by a faction, a mission to analyze a probe on the outskirts of the Sector, ongoing hostilities between major factions, the player’s recent discoveries, and so on. Order received from command: Alex wants campaign testing, especially of new salvage mechanics, missions, and abilities. So I say, why don’t I turn some testing notes into a blog post? Command approved the initiative noting, however, that it was imperative that I – paraphrased – “use discretion when it comes to certain elements you may encounter”. Discretion is my middle name! 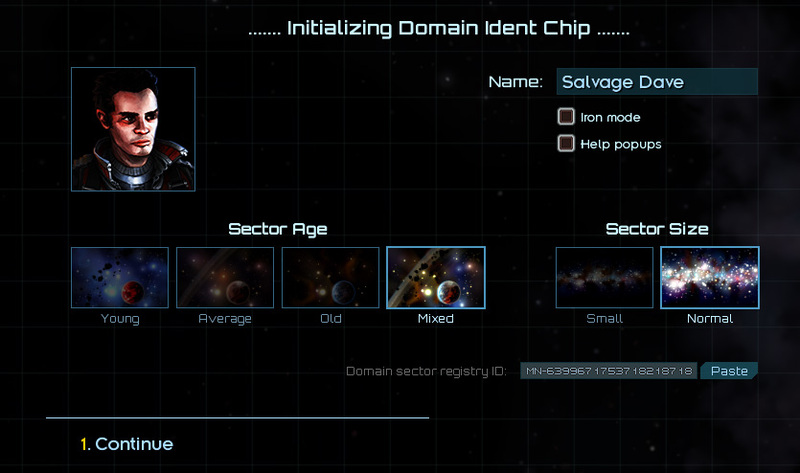 There isn’t room for it on my Domain Ident Chip however, so you’ll have to take my good word for it. Over the last cycle, I’ve been making my living as a smuggler. The ship under my command is a Wayfarer-class freighter, the Iota-Max II, with good cargo capacity and decent armament. Recently I’ve filled my cargo holds with contraband – and legitimate goods to disguise it. All in all, recent life in the Sector has been relatively … Normal. What I’d like to do first is talk about the first mission that I implemented to figure out how all the different pieces needed to come together. It made sense to start with something simple, so simple it is. The mission goal can be summed up easily: “acquire a quantity of commodity X and deliver it to market Y for a reward”. Of course, once you dive into the details, it gets a bit more involved. How do you take on a mission? How do you keep track of it? How do you complete it? None of these are difficult questions, and lots of games have quests, so they’ve all been answered more times than one could count. Mostly, it “just” boils down to UI work. “Just” in quotes because, oh boy, there’s a lot of it, and there’s lots of new underlying data to make it all work, too. One thing to note here is that the board shows missions from nearby star systems as well. It’s also not the only way to get missions – well, it is *right now*, but there’s nothing preventing missions from being taken on in conversation with an NPC, for example. Picture this – you’ve built up just about the toughest merc outfit this side of the sector. Your officers are all hardened veterans. 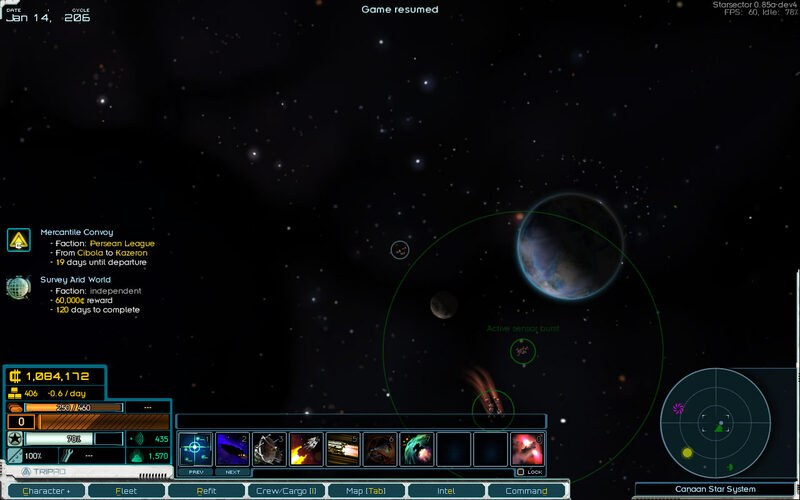 Your ships are outfitted with the best weapons and hull mods. Your skill is legendary, your reputation for prevailing against incredible odds unrivaled. Then, you encounter a small enemy convoy – they pose no threat, but the resources they carry would be a welcome addition to your cargo holds. With hardly a second thought, you order an attack – but really, does such a minor fleet action demand your personal attention? “I’ll let my second-in-command handle it,” you decide as you press the button to auto-resolve the “battle” not worthy of the name – it’s target practice, really. But a nasty surprise awaits – you’ve lost a top-line ship, and two elite officers are dead! … and that’s the scenario we all want to avoid. Auto-resolve has great potential to frustrate the player, because it can obliterate their progress (in the form of resources, ships, and officers) – but worse, it can do this unfairly. The unfairness comes from breaking the player’s expectations of how the game world works. In our example, the player knows their fleet can mop up that convoy – but auto-resolve plays by a different set of rules, one the player hasn’t been exposed to before, one that isn’t clear. Even worse, the rules are hard to learn because they’re hidden. 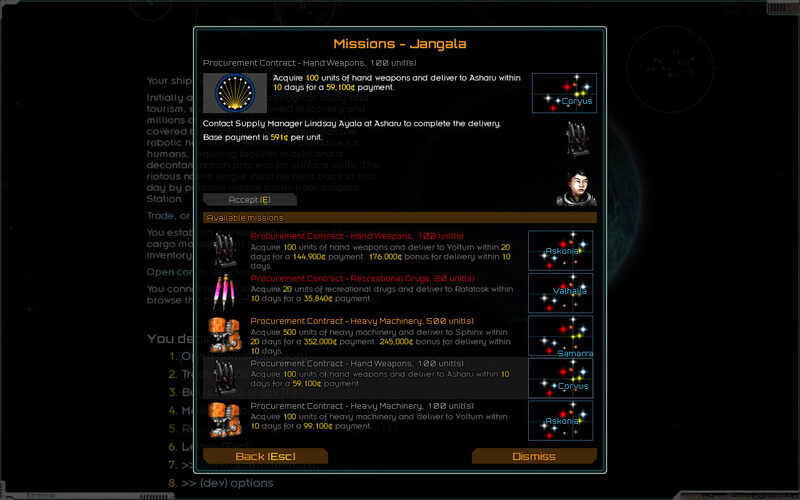 In the situation above, the player might assume that luck plays a big role – but it may well be that the officer skills weren’t valued as much as they should be, or the weapons you’ve equipped the ships with, or any combination of those and other factors. The player might give up on auto-resolve entirely – there’s no clear way to get better at it, and it’s not apparent whether improvement is even possible – and the player is punished for experimenting. destroying any ships which would absolutely never, ever get a dent put in them if the actual battle was played out. A wing of Talon-class interceptors should have no chance to take out a wing of Wasps, for example. To sum it up, the auto-resolve system has to roughly simulate the way combat plays out, take all relevant ship & fleet stats into account, and be very careful that “adding a degree of randomness” doesn’t become “anything can happen”. One thing we can’t take into account is the actual player’s skill at piloting (not their character’s skill, which can be). That’s ok – a battle where the outcome hinges on the player’s personal skill shouldn’t get auto-resolved to victory, anyway. More importantly, I think the player wouldn’t expect auto-resolve to do as well as they do with themselves at the helm.